The next several weeks continues to be very busy for our Knights and our Council. 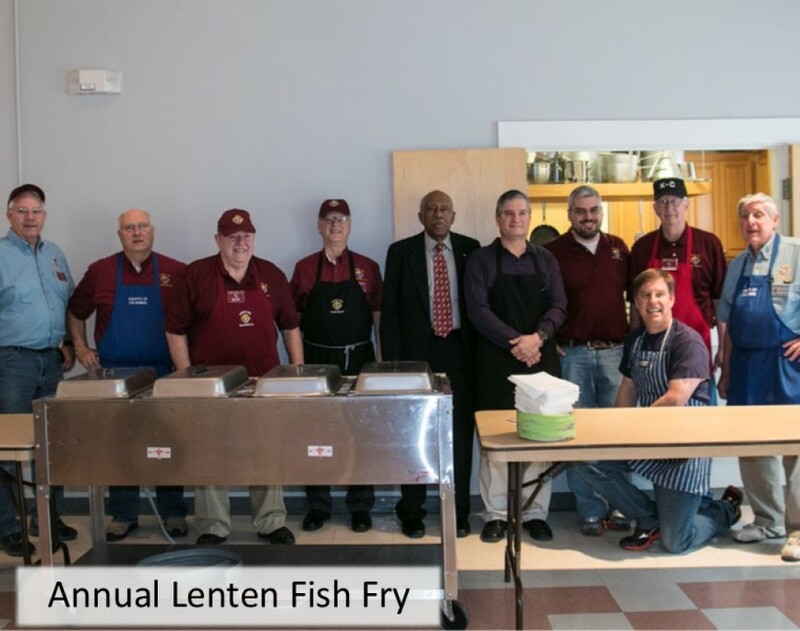 Now that we are in April, we have completed 4 of the 6 Lenten Fish Fry events. The WhiteWater HS Band, and the McIntosh HS Band have both come to entertain us during the Fish Fry. This Friday we have Shane Steward to sing and play for us. For our last Fish Fry the Sandy Creek HS Band is coming to play. This coming Weekend, April 6 and 7, 2019, will be the Consecration of the Holy Family. Flyers and Prayer Cards were in last weeks Church Bulletin. 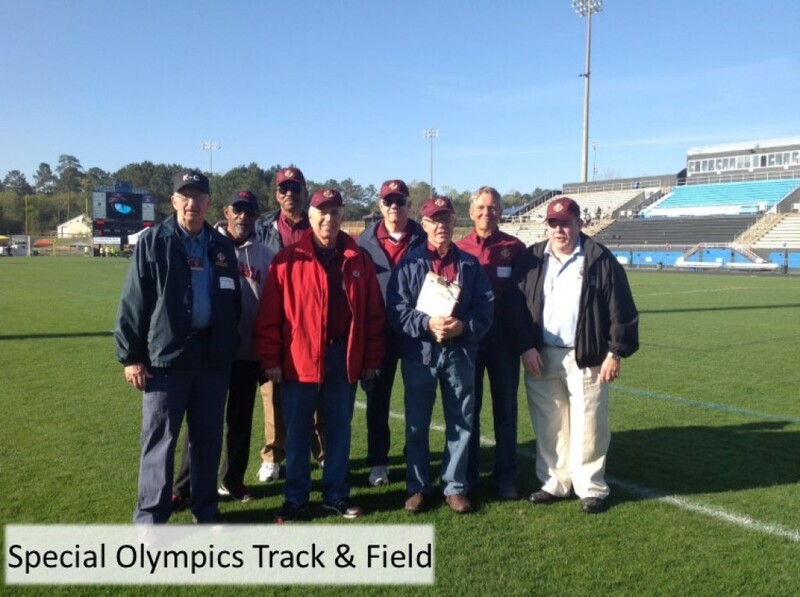 On Friday April 12th, the Knights will be participating in the Annual Special Olympics Track and Field Program. This year it will be held at Sandy Creek HS. Also starting April 12 and going through the weekend Masses, the Knights will hold their Tootsie Roll Drive, collecting funds for Persons with Intellectual Disabilities. On Saturday March 30th, The Knights have scheduled a Mass for the Families of the Knights. Knights will be performing most of the ministries during that Mass. 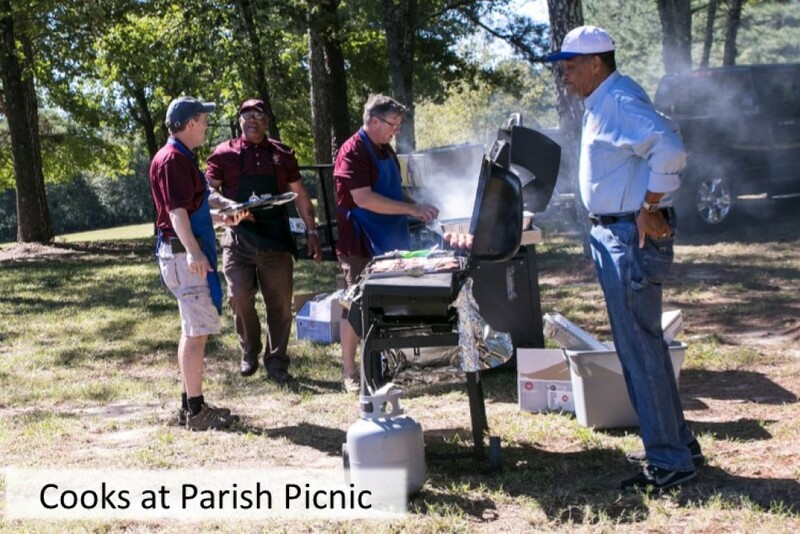 Knights will also be busy grilling the meat for the big Celebration to "Break the Chains", after the 5PM Mass.Archbishop Gregory will be here to celebrate the Mass and to assist with the ceremonial burning of the Mortgage. Council 11458 will conduct a Food Drive to help restock our local St Vincent dePaul Food Pantry. We will collect food after all the Masses during the weekend of March 16 and March 17, 2019. On Saturday March 30th, The Knights had a Mass for the Families of the Knights. Knights will be performing most of the ministries during that Mass. Knights will also be busy grilling the meat for the big Celebration to "Break the Chains", after the 5PM Mass. Archbishop Gregory was here to celebrate the Mass and to assist with the ceremonial burning of the Mortgage. The Council 11458 Food Drive to help restock our local St Vincent dePaul Food Pantry was a rousing success. We collected over 1200 pounds of food, that was delivered to the Pantry. We are Knights. Men committed to acting on our faith and helping the world. Men whose strong dedication to serving the Church is rooted in our Order’s humble beginnings. 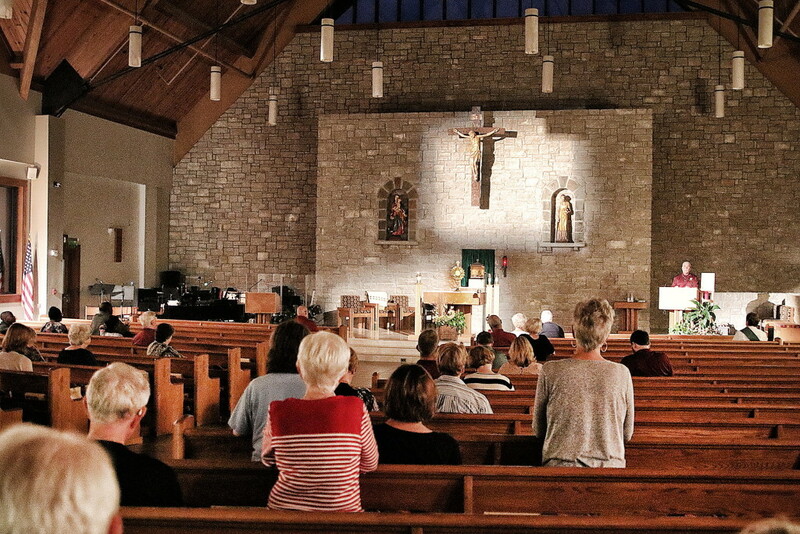 When Father Michael J. McGivney invited a few parishioners to gather in the basement of St. Mary’s Church in New Haven, Connecticut, his hope was to unite men in their faith and provide for Catholic families in times of need. Guided by four core principles – charity, unity, fraternity, and patriotism – other Catholic men soon followed suit and helped lay the foundation that has allowed the Order to flourish. Here are the details from the November 13, 2018 Business Meeting. This includes the update on Supreme Headquarters new Faith in Action initiative, and a calendar for the next several months. For all the details and our three month calendar, please click HERE. The Knights of Columbus is an organization of Catholic men and their families. Our Council offers many worthwhile projects and activities for the parish and community. The St. Gabriel Council of the Knights of Columbus is an active volunteer organization that raises awareness for needy causes and generates much needed funds to support a variety of charitable activities including the Pregnancy Crisis Center, St. Vincent de Paul Food Pantry, Horses & Warriors (Horses for Heroes), Joseph Sam's School for Special Needs Children, Christmas for Kids (Adopt a Family), SWAP (Seniors & Widows Assistance Program), Seminarian Support and the Special Olympics of Fayette County. We raise funds through a variety of methods including our annual Rummage Sale with St. Vincent de Paul, Providing warehouse support at the Atlanta Motor Speedway, our Annual Raffle, Annual Golf Tournament, the Fat Saturday Dinner Dance, and our Tootsie Roll Drives. The Officers meet once a month, normally on the First Tuesday at 6:30pm. Our regular business meeting is held on the 2nd Tuesday of each month at 6:30pm. Both meetings are held at Lyke Hall, lower level, 135 Antioch Rd., Fayetteville, GA.
To leave a message for any of our Officers, please contact the church office at 770-461-0492.